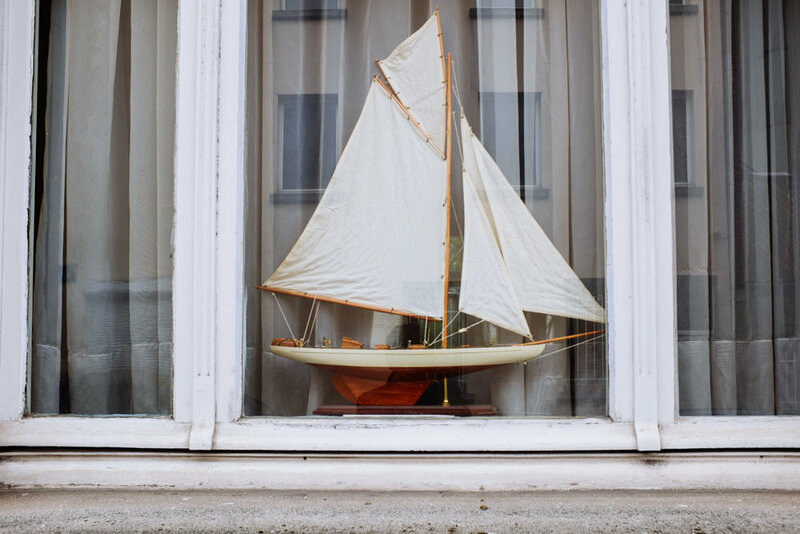 My public window | Created in Brussels, this project is a series of photographs that capture various and funny objects (sculptures, stuffed animals, trinkets ...) displayed by people behind their window. A dog on the lookout, a portrait of the Christ, a dusty Egyptian bust, an Earth globe with gaudy colors ... These treasures protected by their transparent shields are perfect models, which besides their aesthetics, invite to read through an intimate story. What is the story of this Elvis fan couple, this Red Devils team supporter, or the anonymous showing his stuffed fox?